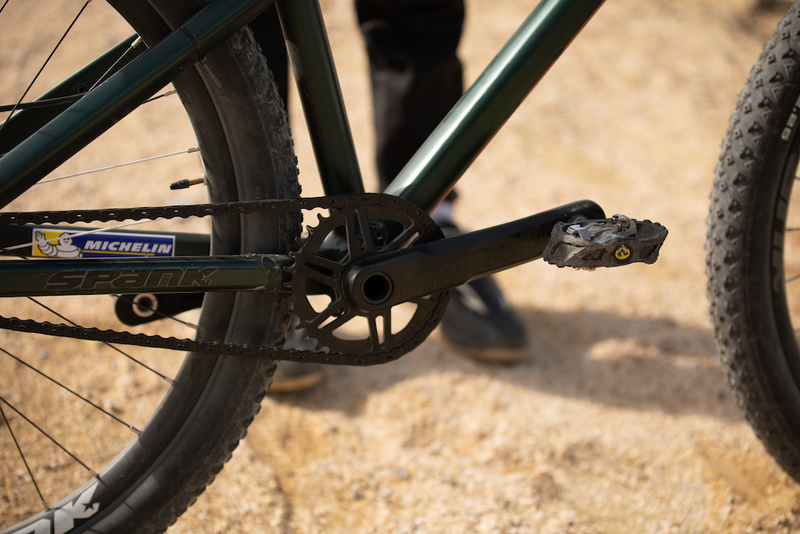 Only 6 out of 9 sprockets are used on the cassette. 100mm travel in the front. 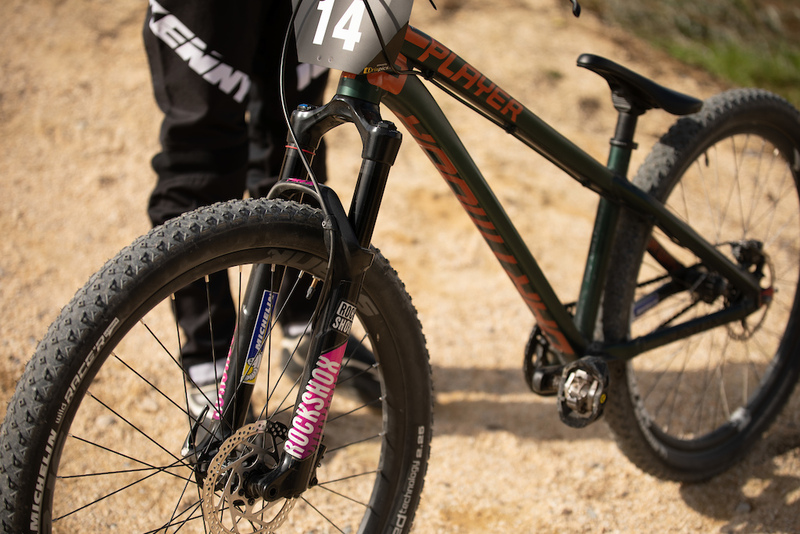 TIRES: Specialized - Purgatory Control 2.3” / Fast Trak Grid 2.0"
The current world champion wore his rainbow jersey for the last time at a 4Cross event at Round 11 of the European 4Cross Series in Leibstadt. 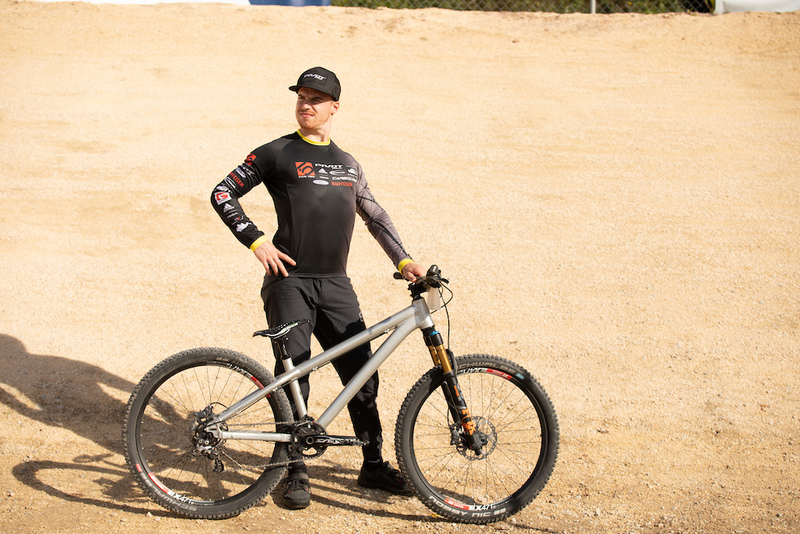 He was one of the only guys that rode a full suspension bike on the rather smooth track, but still finished on the 2nd place with his Specialized SX. Simon definitely did not goof around during the race. 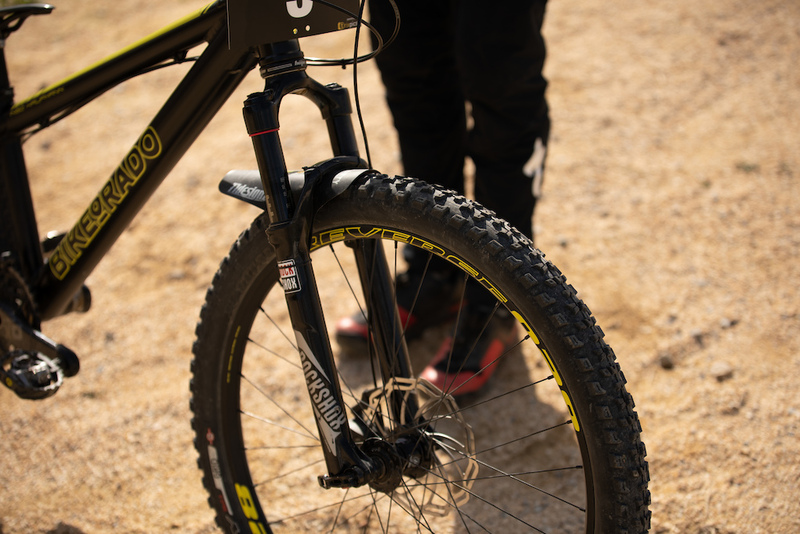 Schwalbe Racing Ralph tires on the rear end. 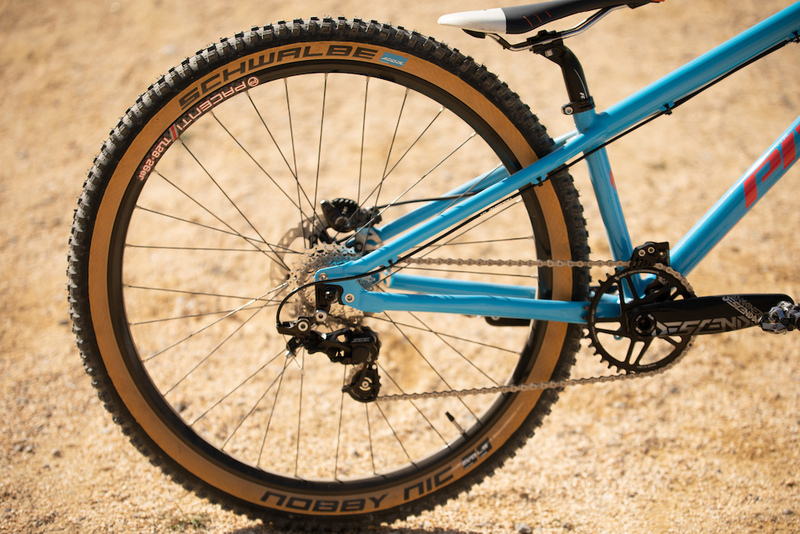 Schwalbe Nobby Nic tires in the front. 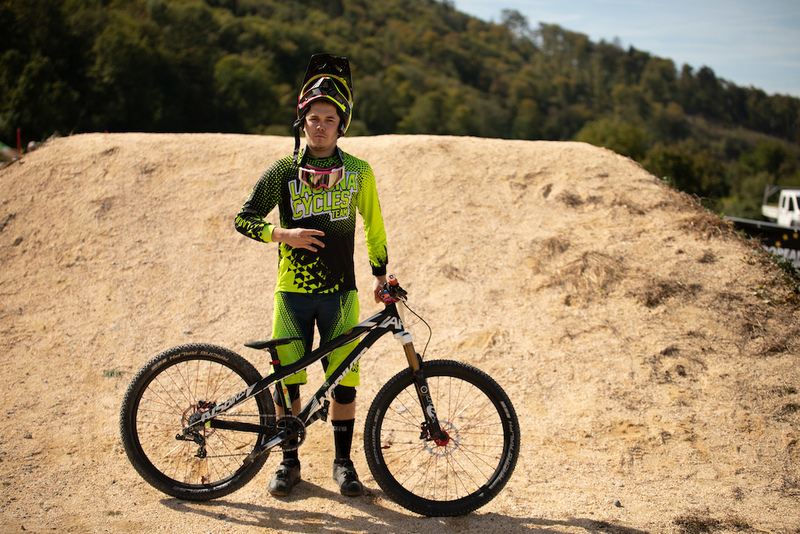 After many years as a pro, Simon Waldburger decided to stop competing regularly. On his last race in Leibstadt, his home track, he showed everyone how it’s done and took the win and the Swiss Chamionship title. His Schwalbe tires gave him the speed for the win on that day. 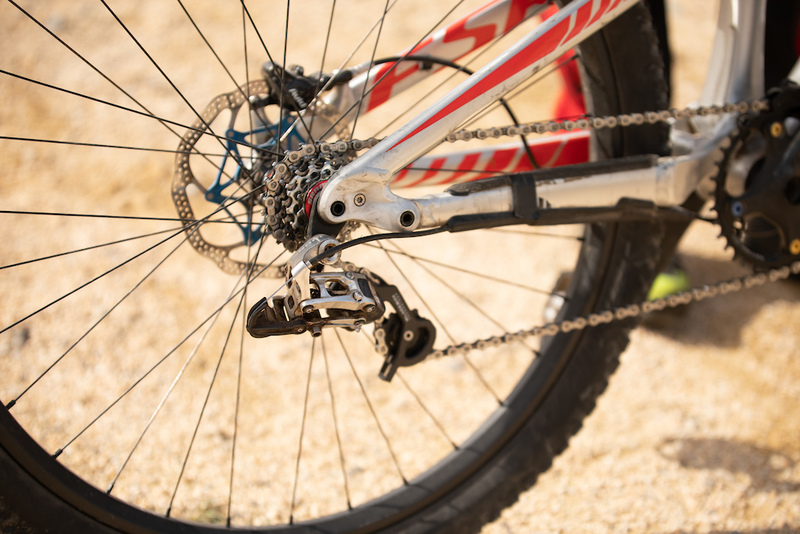 Was the single speed a disadvantage on the 4Cross track? 25 elite men found their way to Leibstadt. 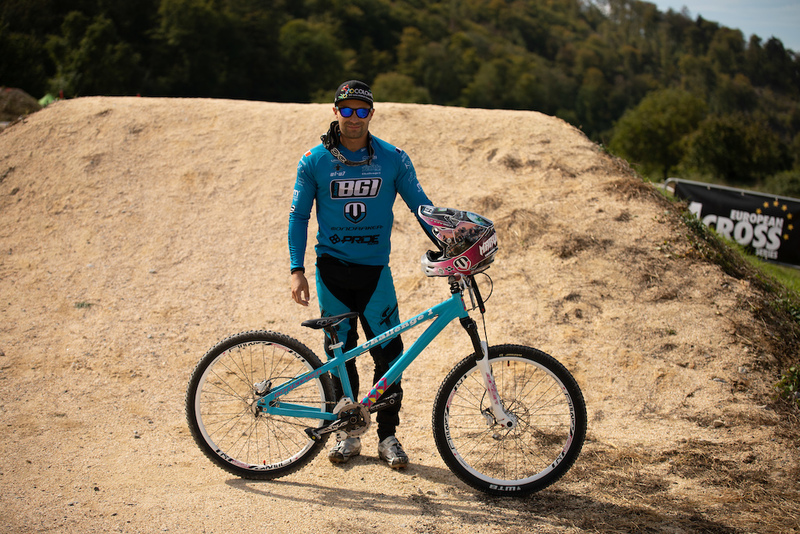 BMX racer Charly Gaillard took the challenge of riding a 4Cross race and brought out his Mondraker Dualen from 2012. With a solid performance all day he managed to finish 4th against the experienced 4Cross men. Gustaw's black set-up looks beautiful. 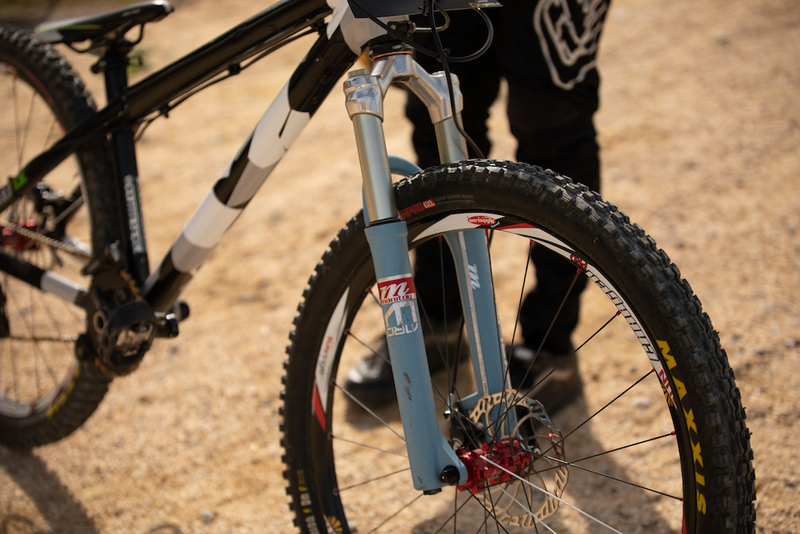 Also 100mm of travel on the fork. CST Tires, front and back. 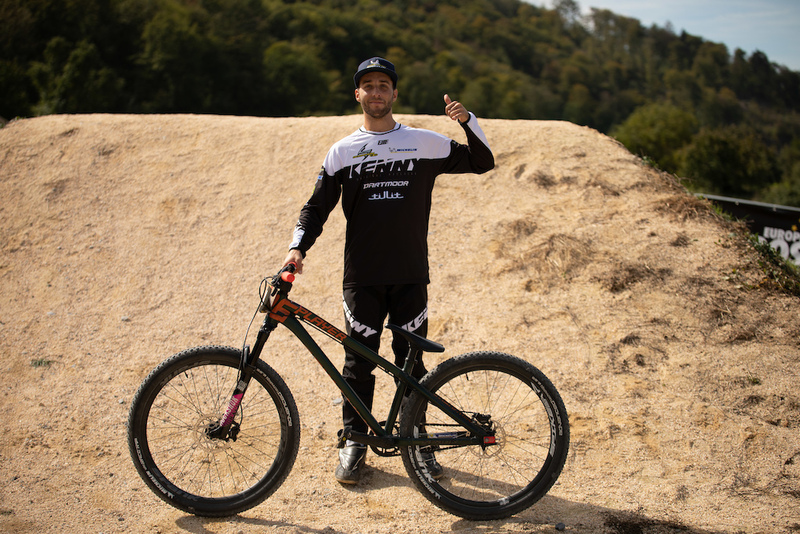 After an unlucky crash in the qualification last year, the Gustaw Dadela wanted to get some redemption in Leibstadt. The track suited him well, but after a collision in the semifinal he had to settle with a 6th place. 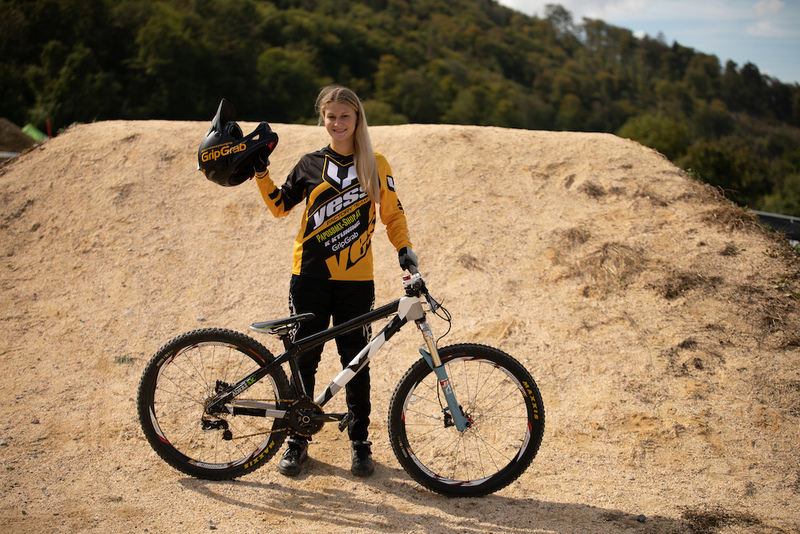 Saskja Lack already won one of the Red Bull Pumptrack qualifiers and now tried herself on the rougher terrain from 4Cross. 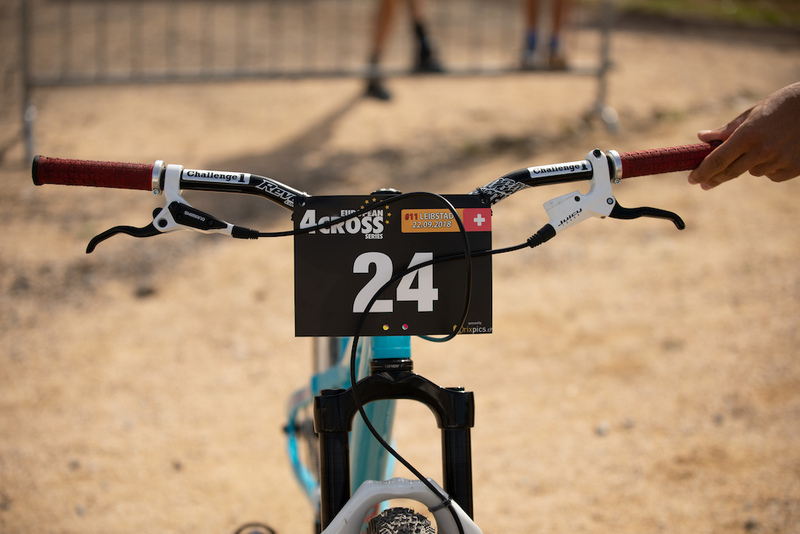 The change from the 20” bmx to the 26” pivot point did not affect her riding skills at all and she ended up on the top of the podium in Leibstadt. The NS Liar has especially been designed for 4Cross. 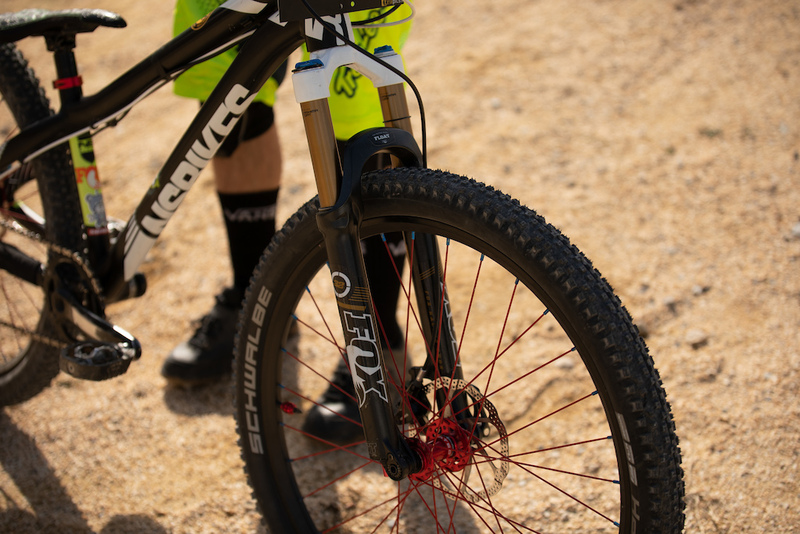 It was Jakub’s first time in Leibstadt but he definitely felt comfortable on his NS Liar with the Fox fork and some Sram components. The German champ got his own prototype frame. 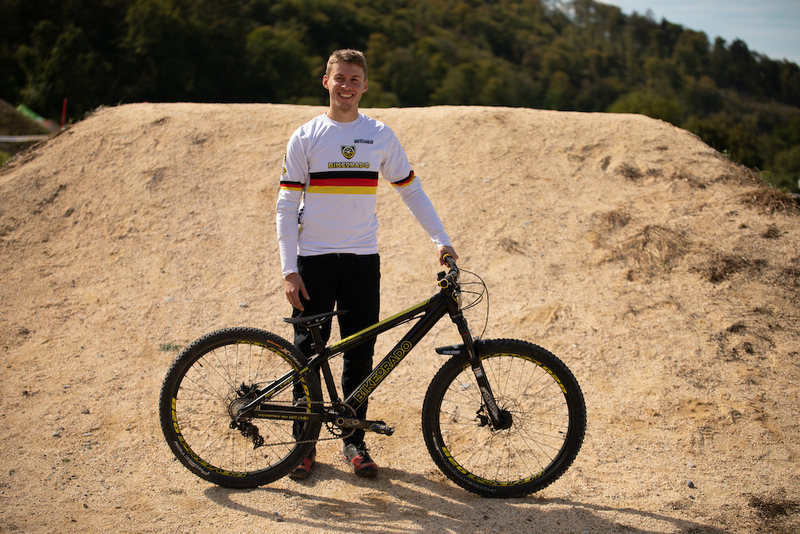 After a few years on the top of the European 4Cross Series, Ingo Kaufmann was able to win the national jersey this year in Heidenheim. After that, he got the opportunity to develop his own 4Cross frame, powered by Hot Chili and his other sponsors. Combined with the components, it just looks great. After a second place last year, Chaney Guennet knew that he was coming back to Leibstadt. His unique riding style and speed on the pumptracks of Crankworx are superb. But his beautifully set up Dartmoor with singlespeed and Michelin tires didn't bring him as far in Leibstadt as last year. Vanessa was having a lot of fun on her second 4Cross race. 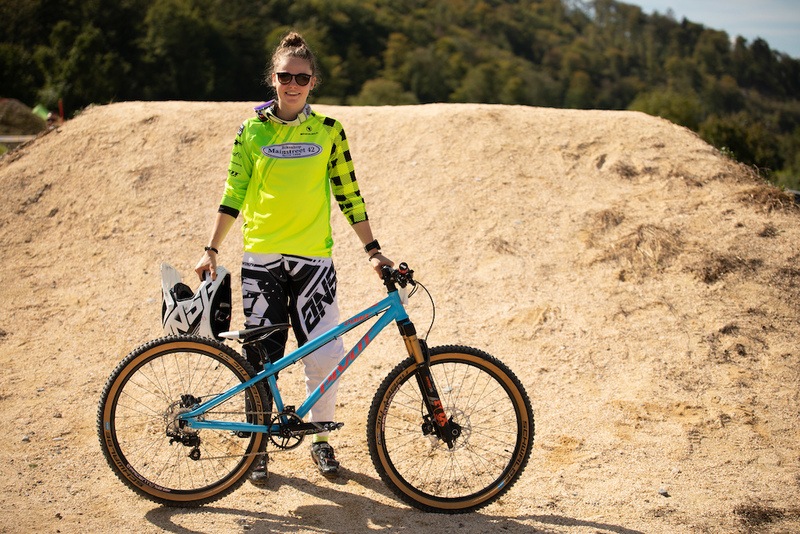 Vanessa Kager also won one of the Red Bull Pumptrack qualifiers and now came to her second 4Cross race after an 8th place at the World Championships. She was able to finish 2nd behind Saskja Lack. 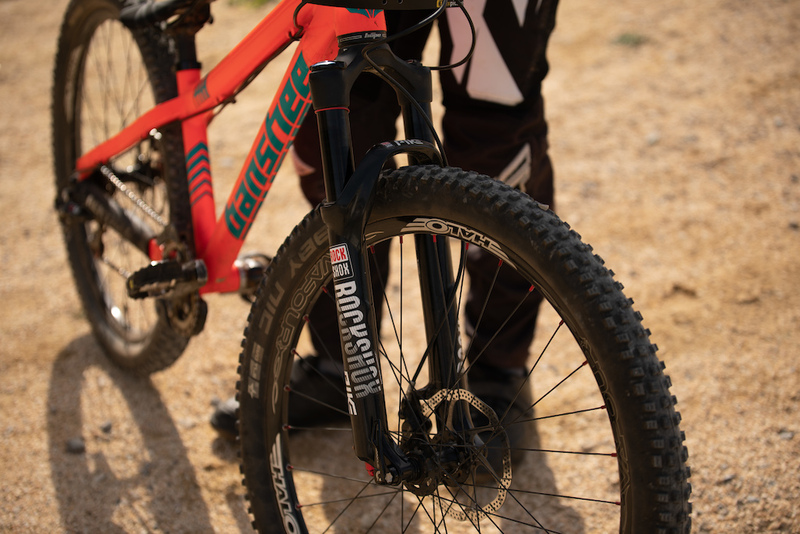 Just like Chaney on his Dartmoor, Connor rode on the dirt jump frame from Banshee. British vize-champion Connor Hudson came all the way from Great Britain with his brother Jack to compete in Leibstadt for the first time. He loved the event and track in Leibstadt, which his Banshee AMP was perfect for. Pretty ripping collection of real hard tails. 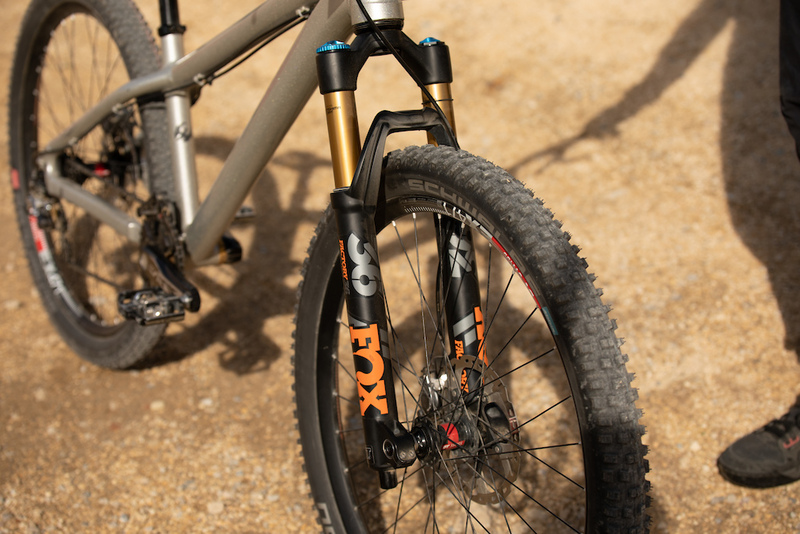 Ok so the winner was on a raw santa cruz jackal frame? 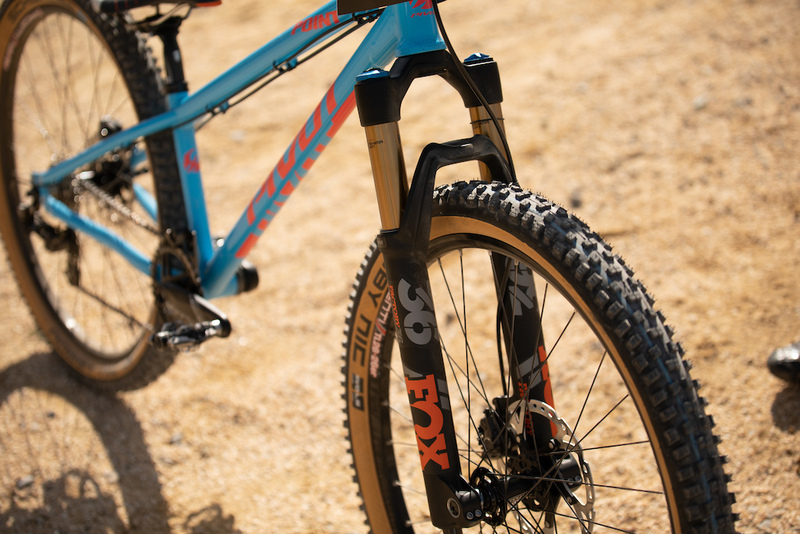 Yea it 100% looks like my 2013 Jackal frame. Oh boy brings a new excitement to my frame lol. Cool bike check! Would love to see more 4cross around here.. Damn. Came here to see exactly 4 cyclocross bikes. Pleasantly surprised to see DJers and slopestyle bikes with multiple gears. Seems like they’d be lots of fun. 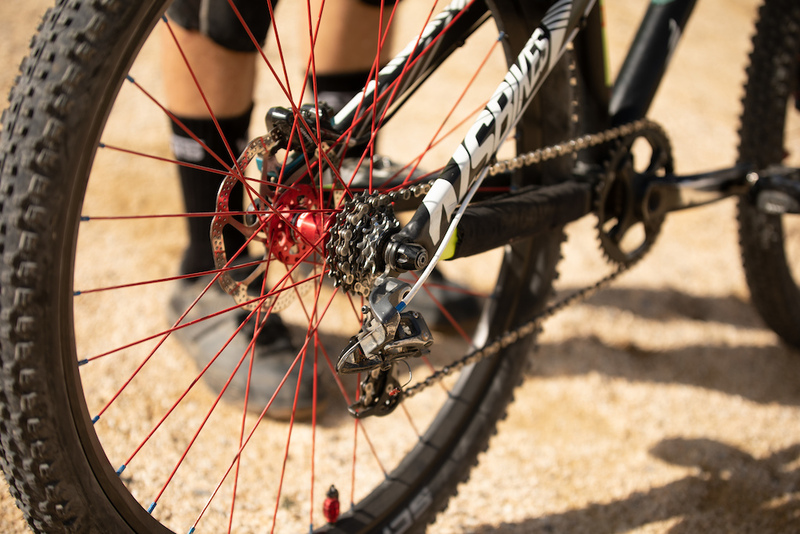 Can someone explain to me why 27.5 wheels won't work for 4 cross bikes? Other than being lighter, stronger and better Turing radius? 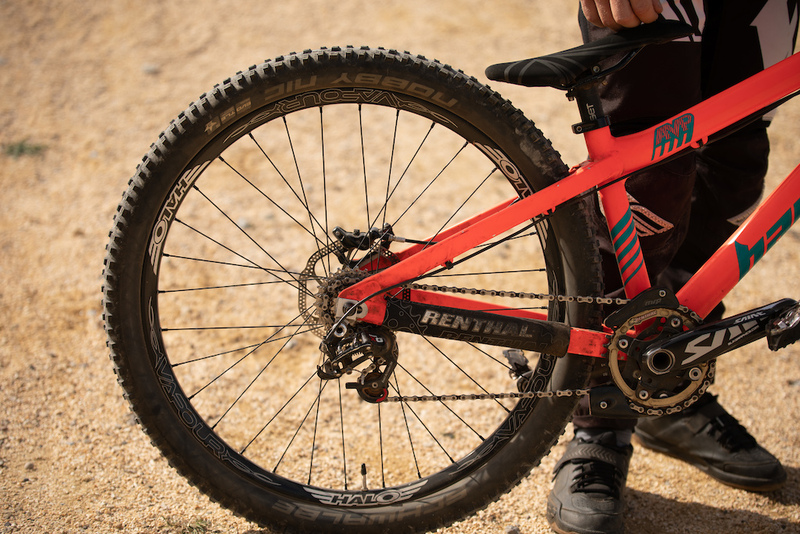 Wouldn't that lighter stronger quicker turning wheel work better on trails too. 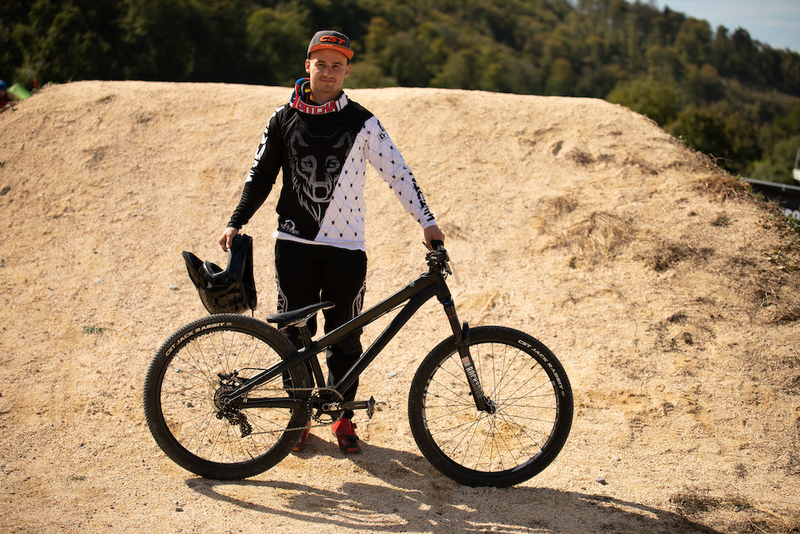 @drjonnywonderboy: you have tried all three sizes on trails and at the pump track? 4 X ? Because if you have not your just guessing. Can I see your results on the 4x track? You a pro? I have ridden 26", 27.5" and 29" and what drjonnywonderboy says is correct. 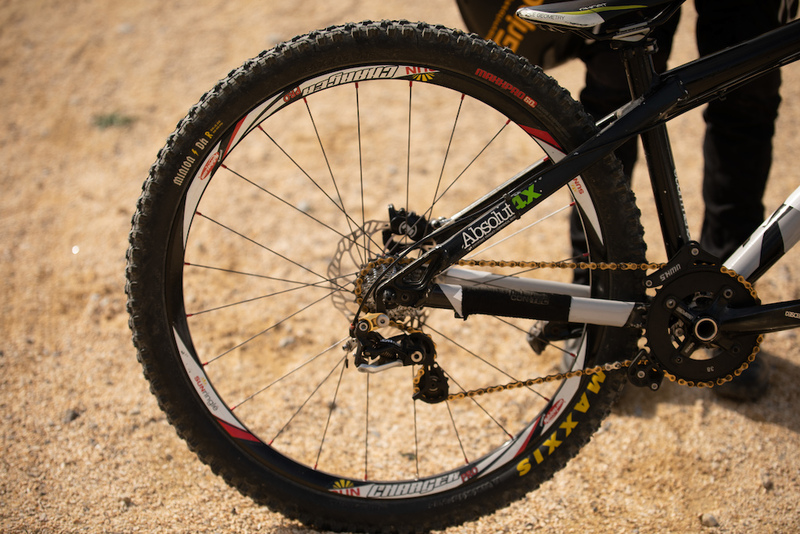 Bigger wheels are great for trails but 26 does the job better for dirt jump and 4cross. I find 26” works better on the majority of rollers; it allows the wheel to pump off of things instead of rolling over them. Also, the 26” wheel allows for a stouter frame that’s easier to throw around. @speedy06: I'm curious you have tried 27.5 on pump tracks and 4x. 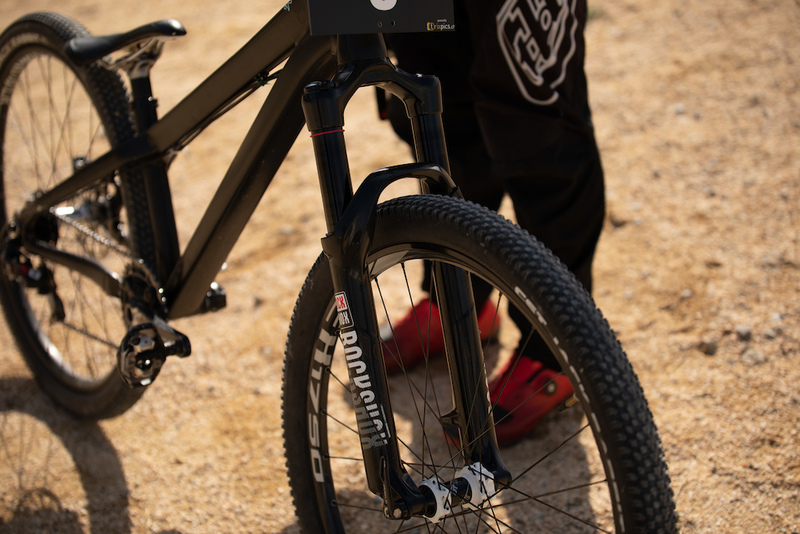 I have rode 20 inch 26 inch and 27.5 at pump tracks. 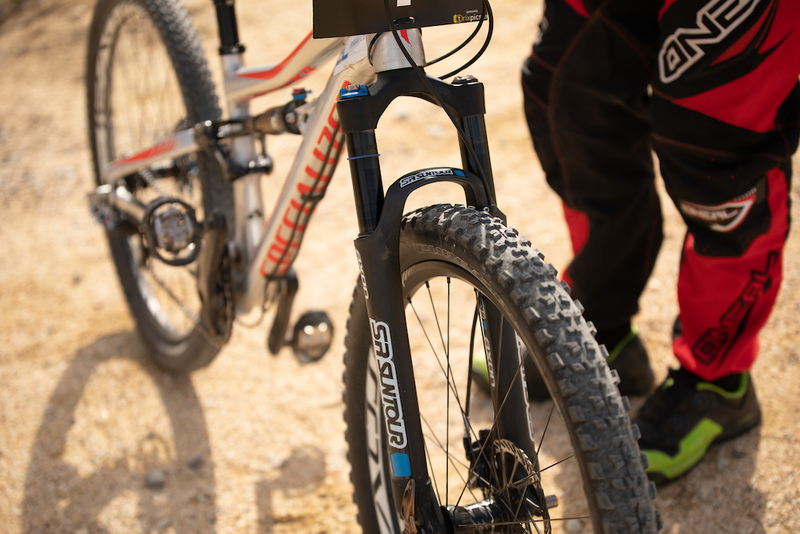 4x and pumptracks are all about speed and carrying your momentum. Except for starting there is no acceleration just incremental speed changes. The idea is to have the smoothest action. Can't help but think on pump track and 4x larger wheels would roll smoother and faster. 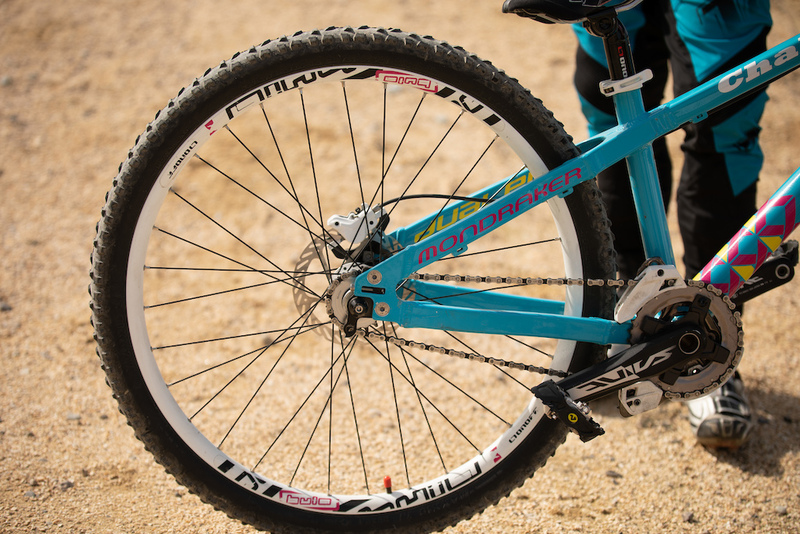 I have rode many bikes with 27.5 wheels and same with 26 inch wheels. For double black diamond trails that are chundery which is all I ride most of the time. 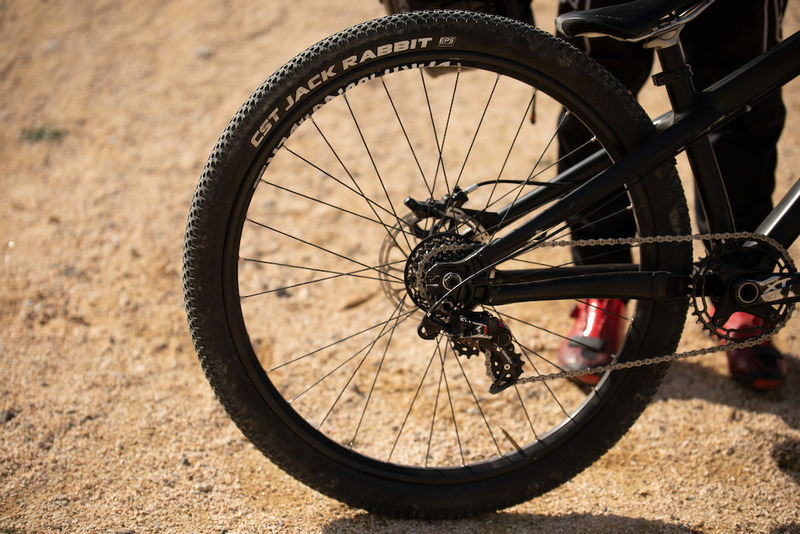 Why do rode bikes use large wheels? Speed. What is 4x about? Speed. 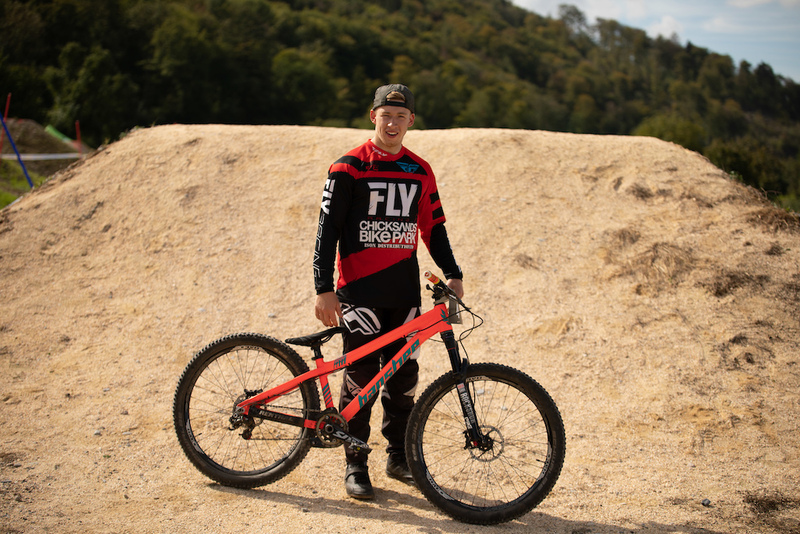 @Sshredder: all I can say mate is for pump track and proper bmx tracks you get to a certain speed and the bigger the wheel becomes slower. They bounce around and don’t fit in transitions etc as well. Your just fighting to keep the wheels glued. The faster you go and the more it becomes about pin point accuracy and you can get more out of a smaller wheel. Some say 20 wheels are sketchy but personally the faster I go the more stable they are! 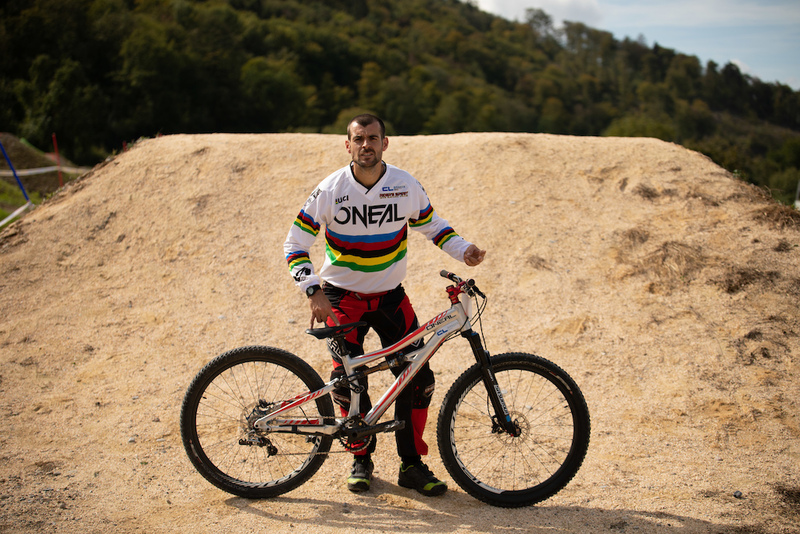 I race both 20 and 24 bmx and am quicker on the 20 for sure! @Sshredder: 4X is about acceleration, very different to sustaining speed. Imagine some one gets late into a corner an brings another rider or the whole pack to a near stand still.. 26 Will ALLWAYS sprint out of that (and the gate ) faster, corner faster, brake later and jump better. @Sshredder: how about your results. Are you a pro? What setup do you find best. Did you try all three on a pump track and trail how about a skate park what wheel works best for that. You seem to be the expert. Great, so this article misses to tell people what bike the winner is riding. Congrats! It also says a few things about the state of 4X and the involvement of the industry. 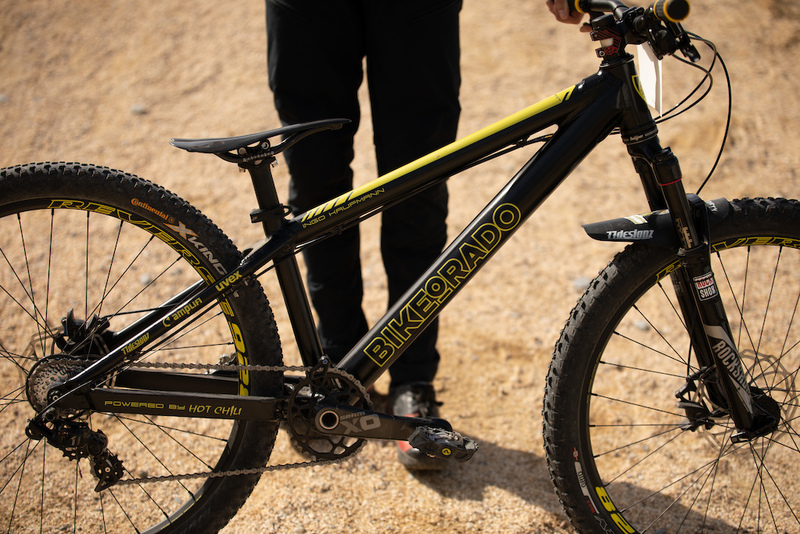 It used to be custom bikes and prototypes, like in DH and XC, now it's ”we race what we have and are cost-sensitive”. Breaks my heart! But hey, at least we have XCE for a planet full of joy and true fun! Specialized SX and P3, looks like previous generation bikes..So these riders stock those old frames from old days? not if but when my juicy front brake fails i still have my shimano in the rear! 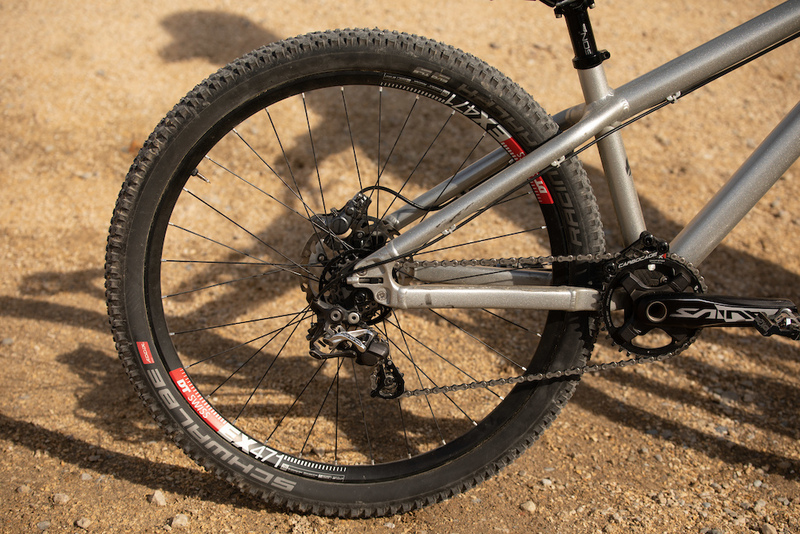 Maybe 27.5 wheels just made an excuse to sell new bikes. Suckers. Bit of a off-topic, but anyone has an idea what brand/model is Gustav's jersey? Looks rad!! Skinwall nobby nic26 where do I buy? Stay away from drugs kids.